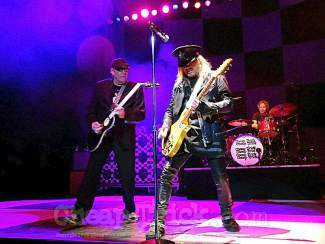 Cheap Trick will bring its timeless hits to the South Shore when it performs at Harrah's Lake Tahoe on Saturday night. 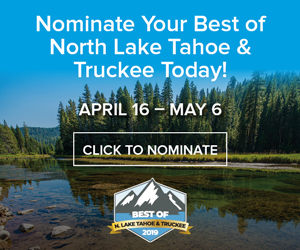 Where: Community Arts Center, Truckee. Tube under the lights Friday at Tahoe Donner Snowplay until 6:30 p.m. — two hours later than Snowplay typically closes — for night sledding. Sledding hours begin at 1:30 p.m.
Christian music sensation Julie Elias will lead a festive and family friendly Christmas concert — featuring players from the Reno Philharmonic — for the Incline Village community Friday night. Wake of the Dead, a Grateful Dead tribute band based in Chico, unleashes all the Grateful Dead hits from the stage of the CBC Red Room for a free show Friday night. DJs Nas Ja & Tha Fruitbat will stir up a dance party scene inside the Crystal Bay Casino Red Room for a free show Saturday night. 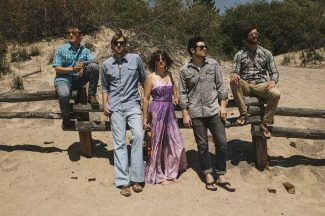 San Francisco-based Frankie Boots & the Country Line, a rollicking folk/Americana/country step quintet, will play back-to-back free shows in downtown Truckee this weekend. Soulful singer-songwriter Neva returns to Truckee with a new batch of songs when she performs at the Cottonwood Restaurant & Bar for a free show Friday night. Eight South Shore choirs will come together for the 21st annual MontBleu Holiday Extravaganza, which includes a performance Friday night. Cheap Trick — a 2015 Rock and Roll Hall of Fame nominee known for hits “Surrender,” “I Want You to Want Me,” and “Dream Police” — will perform on the South Shore on Saturday night. 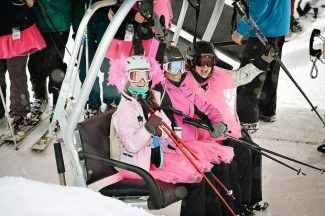 Turn back the clock and cut a rug in your best 80’s ski fashions at the 6th annual Sandy’s Pub Retro Party on Friday night at the Resort at Squaw Creek at Squaw Valley. The 21-and-over DJ dance party will feature music by Chango with special guest DJ Zoso.